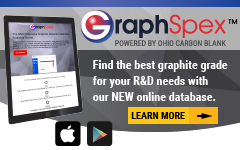 Our mission at Ohio Carbon Blank, Inc. is to consistently deliver the highest quality graphite products to our customers' specifications in the shortest period of time. Our Company Team will also apply our continuous improvement efforts to achieve an ever increasing level of customer satisfaction. 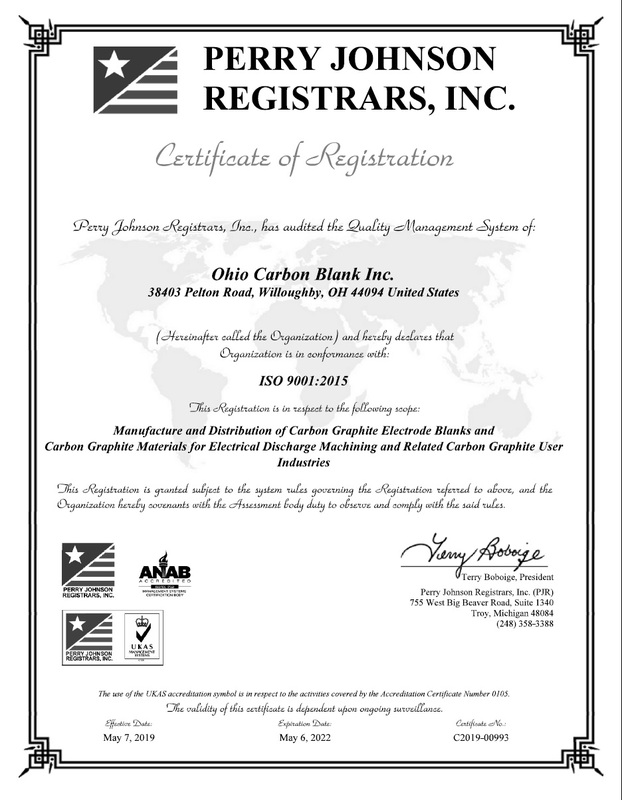 Ohio Carbon Blank (OCB) provides materials and machined graphite products to machine shops with EDM needs, furnace manufacturers, glass molding and energy related applications. Our prompt order fulfillments and attractive pricing has allowed us to grow with a long list of diverse customers. 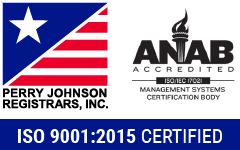 We are dedicated to continuous process improvement and the highest quality standards with ISO 9001:2015 certification. 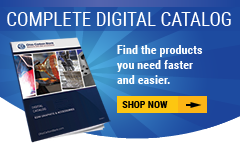 Our specialized manufacturing techniques and material testing capabilities form a system that guarantees consistent material quality and precision tolerance graphite products. Whether your requirements are conventional EDM tooling or high temperature furnace applications, you can depend on quality materials, superb workmanship, and fast delivery the first time and every time. Our services include machining thousands of work pieces monthly with same day or next day service. Same Day / Next Day precision graphite products. Dimensional accuracies of .0002'' of an inch. Product packaging with no peanuts. Custom ground graphite to meet any customer specification.